I have only two shows this month. I’m really excited about this one. Dan was an inspiration to me before he even knew it! I read an article about him by Jim Walsh many years ago and decided I wanted to meet him. I ended up making friends with both of them and they were both a huge part of getting me out of the house and singing again! We’ll be swapping sets all night, so come along if you can. I’ll be taking a break from gigs for much of the next couple of months to start work on my next record. It’s an exciting time but I need to slow down a bit to make it happen… Stay tuned..
Tonight is the last ‘Residency Show’ at the Amsterdam Bar. It’s been a ton of fun and tonight will feature a set by Brian Just (Our True Brit! radio show link up now at KFAI.com archives) and then the Katy Vernon Band. Music starts in the Bar at 10pm due to a John Moe Book Signing event happening at 7pm in the Hall. Then, just added: A Katy Vernon Trio Podcast. “This week the FladCast is at 1600 Portland Ave. St. Paul. Our good friend and former WCCO producer “Tom” built…an….entire…..cantina….in his back yard. Complete with coy ponds/vines/exotica. It’s the perfect setting to broadcast Wednesday’s show featuring KATY VERNON TRIO. The event is free and BYOB!! 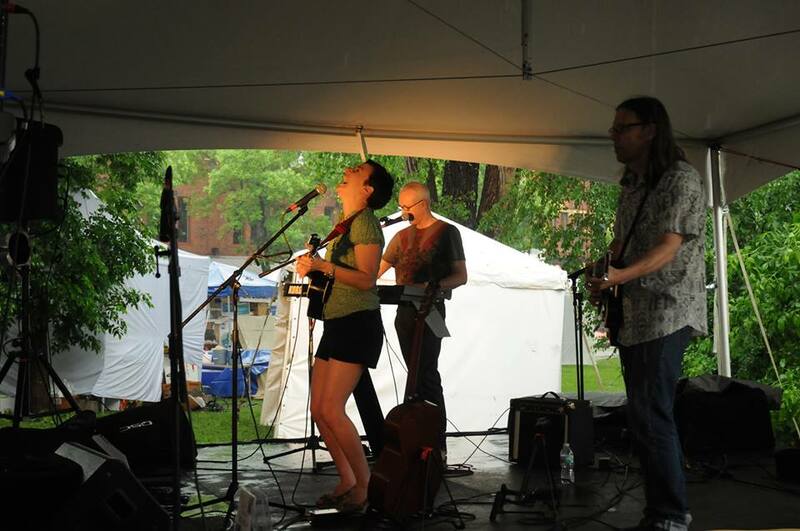 Last but not least is the Stone Arch Festival this weekend. We are thrilled to be playing the Cities 97 Stage (Out on the river!) at 1:45-2:30pm on Saturday, June 14th.